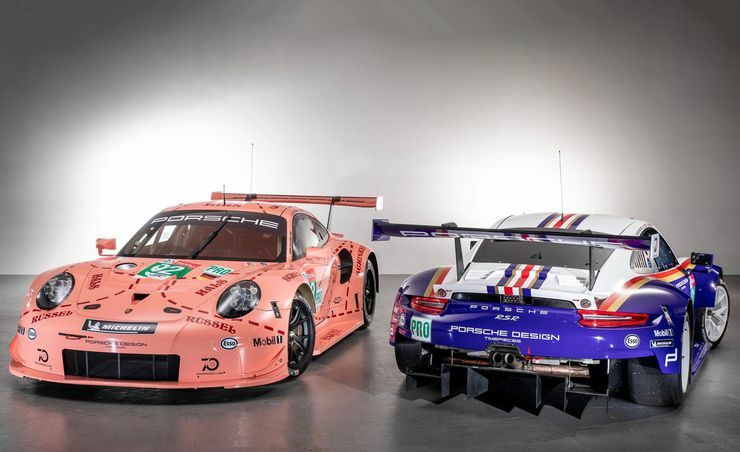 In honour of its 70th Birthday, Porsche will run to iconic liveries upon two of its Porsche 911 RSR's at this year's 86th running of Le Mans. 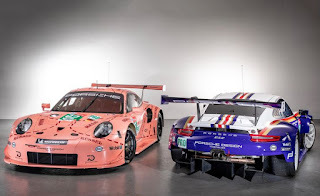 One will feature the classic Pink Pig festooned in various cuts 'O meat.. While the other will feature the legendary Rothmans "Smokey Smokes" theme.